MDF – this is most widespread, easily available production material. Thousands of computer desks for family room are made of MDF. The option has long ago become classic, so it will fit into any room, regardless of its interior. If you have other wooden furniture in, just find a similar MDF shade. High gloss – a lot of living rooms feature high gloss collections, and it is possible to find computer desks that would have the same shiny finish. This is a modern and unobtrusive solution for contemporary interiors. Glass – a very light and stylish solution, especially if the room is small. You can find transparent glass tables (absolutely neutral) or go with tinted tempered glass. Rectangular – a classic arrangement suitable for any room, regardless of its size, dimensions, and decoration pattern. Corner – more suitable for small rooms – mostly because it gives a chance to optimize the available space by fitting closely into the corner. It can feature L-shape design, or have equal corner proportions. Semi-circle – a rather bulky and space consuming model, but if you need a desk for two or more monitors, this could be a good choice for you. Quite often, such models will have more than one cabinet (usually – two on both sides) and several drawers. 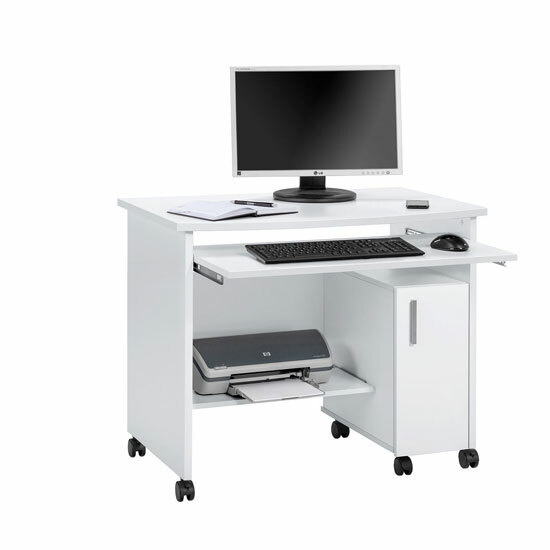 Finally, think if you need a basic desk model with no extra storage or would like the model to be equipped with drawers and cabinets. Some corner models may also feature shelves. Plus, even though the majority of computer desks for family room are equipped with the traditional keyboards trays, more and more people are using laptops at home – so the tray is not always necessary, too. A lot of stylish and highly functional computer desks for family room can be found at Furniture in Fashion website. This is a UK company that collaborates with a wide range of reliable international manufacturers and keeps at least 99% of the listed products in stock. This, and the fact that the company has a set of its own couriers, ensures quick delivery to any corner of the country.